To say that people living around the UK think there is something of a London-centric bias in the British media would be an understatement. Although the capital represents 13% of the UK population, all of the country’s national English-language newspapers and broadcasters are based there – a level of concentration that is hard to justify on either economic or cultural grounds. The most obvious solution is to relocate a greater proportion of UK-wide media outside the capital. 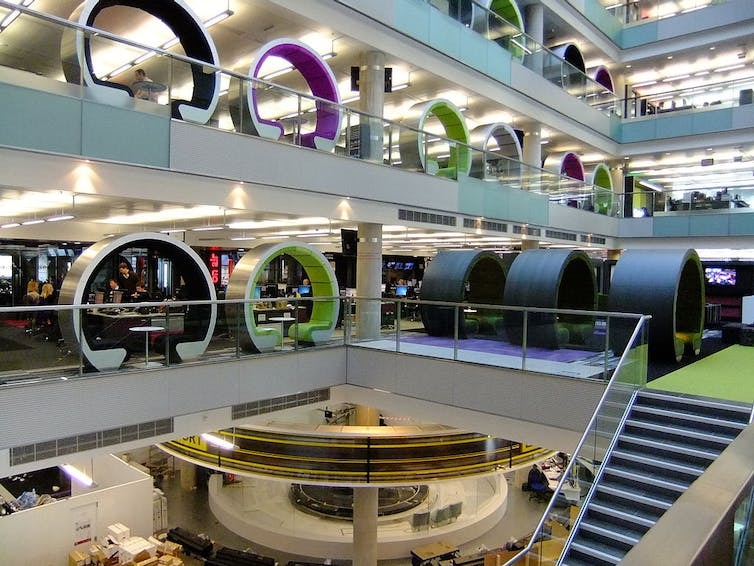 Following the BBC’s decision to relocate some of its operations to Media City in Salford, it might soon be Channel 4’s turn to venture out of the capital. The government will soon launch a consultation on the channel’s future which – inter alia – will explore whether some or all of its operations should be based outside London. The lack of regional diversity in the UK media was acknowledged by the 2003 Communications Act, which required that a proportion of programmes by the UK’s main broadcasters (excluding Sky) be made outside the M25 (a 117-mile motorway which runs in a ring around Greater London). But the ambitions here were modest – so, for example, BBC channels were asked to produce 25% of their programming hours and 30% of their spending outside London. For Channel 4 and Five, those figures were 30% and 10% respectively. But the Act still assumed the great majority of programming would be made in London – and, according to PACT, the body that represents the UK’s 500 independent media companies, this remains true. Around three-fifths of the UK’s independent media producers are based in London – four times the number in Scotland, Wales and Northern Ireland combined. The BBC’s move to Salford was designed to address this. The move inevitably met with some resistance – London metropolitanism among parts of the creative establishment runs deep. Reports that The Guardian is considering a return to its Manchester roots have also been greeted with scepticism, even within the paper’s own ranks – former editor, Peter Preston concluding that as far as the UK media goes, London is “where it’s at”. There are, of course, moments when this is true. But for most people, most of the time, London is not where it’s at. The BBC’s move of some of its operation to a northern hub recognises this. But even this is only a modest move on the road towards regional diversity. The case to move more media out of London is compelling, and Channel 4 – with its reputation for freshness and originality – is an obvious candidate. An early frontrunner for host city is Birmingham, which has already offered the broadcaster a prime city centre location (although Karen Bradley – the minister for Culture, Media and Sport – represents nearby Staffordshire, a potential conflict of interest that might give rise to accusations of pork-barrel politics). Hot on Birmingham’s heels is Manchester. Andy Burnham, Labour’s mayoral candidate for Greater Manchester, is busily making the case, arguing that the media infrastructure in Salford’s Media City makes “Greater Manchester the only viable alternative outside of London”. The other city being talked about is Leeds, currently considered more of a long shot. And all of this raises the question – why should we always assume that a UK broadcaster has to be based in England? The cultural bias of our broadcasters is not only London-centric, but England-centric. Cardiff University has conducted four reviews for the BBC Trust looking at the UK broadcasters’ coverage of UK politics. Despite the fact that a great deal of power and responsibility has now been devolved to the four nations, political coverage continues to be largely Westminster-based. Most stories about topics of devolved responsibility – in areas such as health and education – tend to ignore this, and focus only on England. As former BBC Trustee and Chair of the Editorial Standards Committee Richard Ayre put it, devolution “represents a growing challenge to UK-wide broadcasters”. But it is a challenge that it will be harder to meet if we assume that UK media must always be based in England. Imagine if Channel 4 moved to Edinburgh – which is after all – home to the UK’s premier cultural festival? This would be devo-max with a difference. It would send a powerful message that the UK union actually meant something – and that the Scottish capital has as much right to be at the centre of things as an English city. A more plausible contender, perhaps, is Cardiff – the UK’s youngest capital city. 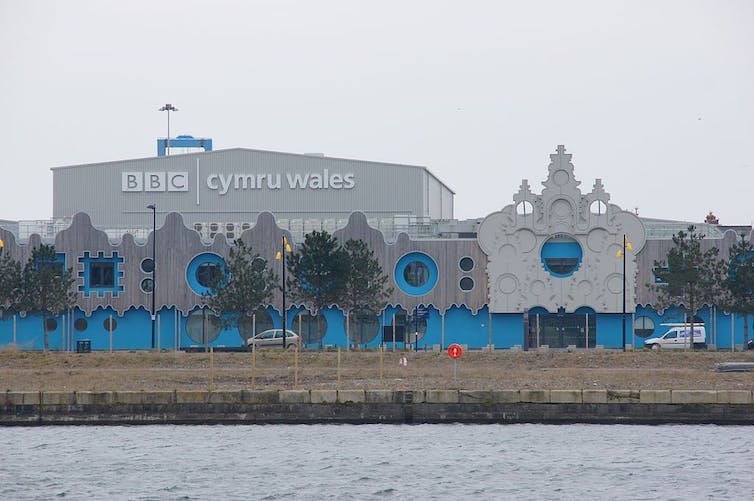 The success of the BBC’s drama studios in Cardiff Bay – the base of production for Sherlock, Dr Who and Casualty, among others – has helped create one of the most impressive media infrastructures outside London, with a healthy supply chain of graduates from the City’s three universities (20% of Cardiff’s population are students) including one of the world’s leading media schools. As a resident of the Welsh capital – and as an employee of the aforesaid media school – I have to declare a bias. But how many other cities have hosted a NATO summit, the Champions League final and the Rugby World Cup, while developing a cultural reputation for being edgy and innovative? In many ways, this City of the Unexpected would make a perfect home for Channel 4. Oh – and its only two hours by train to central London.